We need a new approach to mental health and wellbeing at work, major CEOs argued at Davos. Recognising a 24-hour culture that blurs the division between home and work, corporate leaders explored solutions for a healthier future. “What happens in a day of life at work? It’s so different now…. We were taught to believe that you can leave your problems at home and come and focus on the work, now your problems walk with you every day, every minute, every hour, and it’s because in a large part of the technology and the connections,” said Bernard Tyson, CEO of health company Kaiser Permanente. The crossover cuts both ways: one study found US workers spent on average five hours every weekend checking work email. This is a challenge that John Flint, the CEO of HSBC, is grasping with his ambition to turn the bank into the “the healthiest human system”. He described this not as a fuzzy, feel-good effort, but as a question of performance. Removing stigma is part of the shift to a better culture, leaders agreed. Flint spoke of a “spectrum of mental health,” where everyone had a position that could vary. "I know personally the profound difference between being at my best and not at my best. We know that fear is terribly important when it comes to decision-making." Those who had endured mental illness bring a different perspective, he argued. Around the world, one in four people will suffer from a mental health problem at some point in their life time, while depression is the biggest cause of disability worldwide. 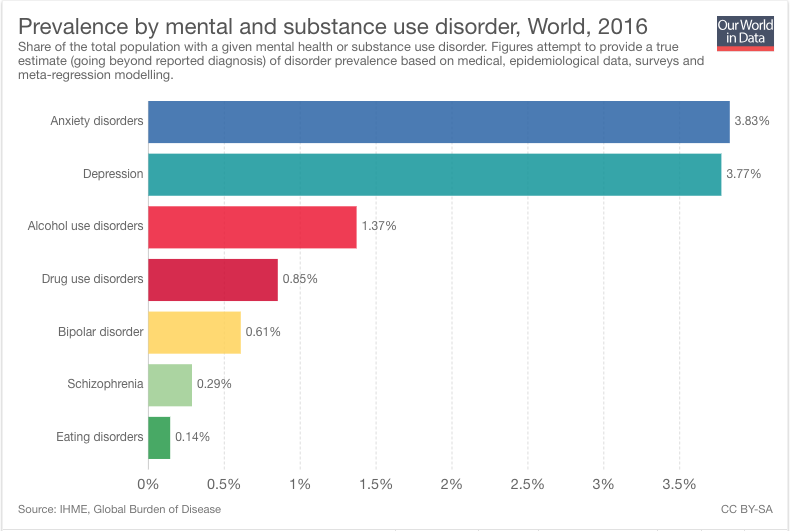 By 2030, the cost to the global economy of all mental health problems could amount to $16 trillion. The working world has some catching up to do. The Duke of Cambridge, who launched the Mental Health at Work project, said that according to UK-based research only 2% of people would talk to Human Resources about a mental health problem.